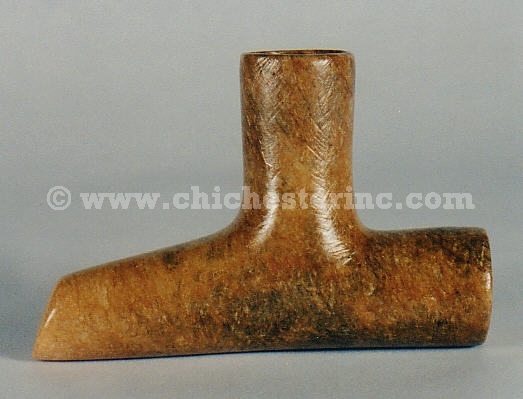 Our pipe bowls are carved from soapstone by an Iroquois artist and can be used with our wood pipe stems to make your own pipes. Click HERE to jump to the page with wood pipe stems. These are craft supply items, so you may need to modify the size of the hole to make the pipe stem fit properly. Please note that because they are hand-carved, there will be a slight variation in size. 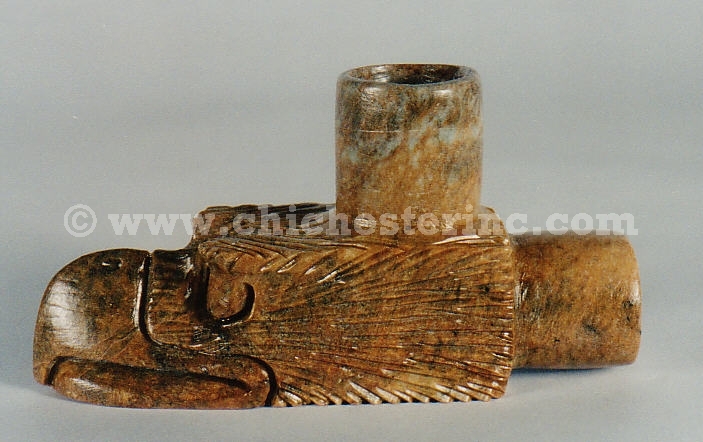 The Eagle Pipe Bowl is 4.5" long and 2.25" high with a 0.5" hole for the pipe stem. 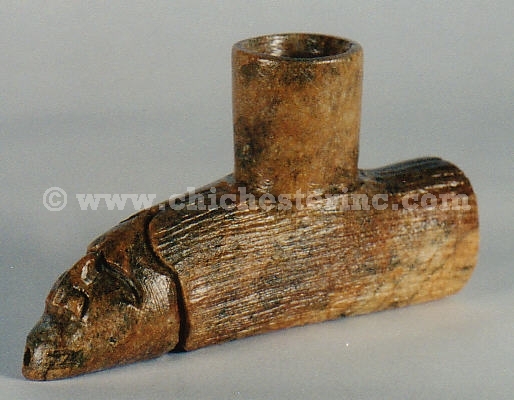 The Bear Pipe Bowl is 4" long and 2.25" high with a 0.5" hole for the pipe stem. 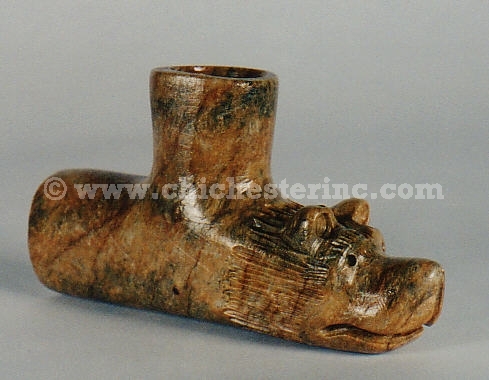 The False Face Pipe Bowl is 4" long and 2.25" high with a 0.5" hole for the pipe stem. The Lady Pipe Bowl is 3.75" long and 2.5" high with a 0.5" hole for the pipe stem. 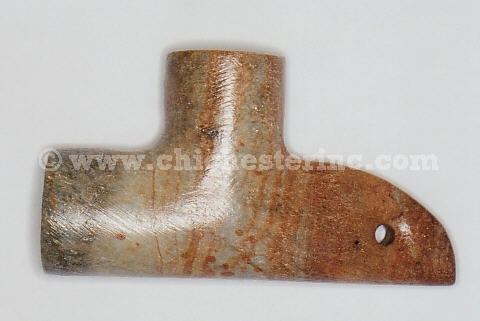 The Lady Pipe Bowl with Hole permits hanging of feathers or other decorations. It is 3.75" long and 2.5" high with a 0.5" hole for the pipe stem. The Turtle Pipe Bowl is 4.5" long, 2.5" wide, and 2" high with a 0.5" hole for the pipe stem.